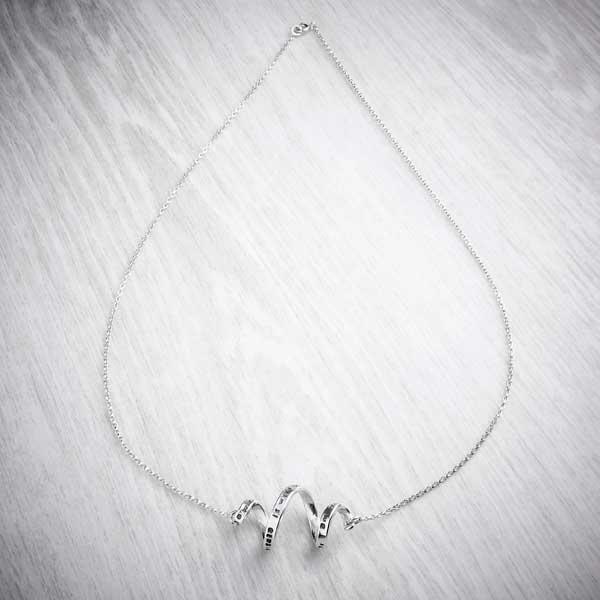 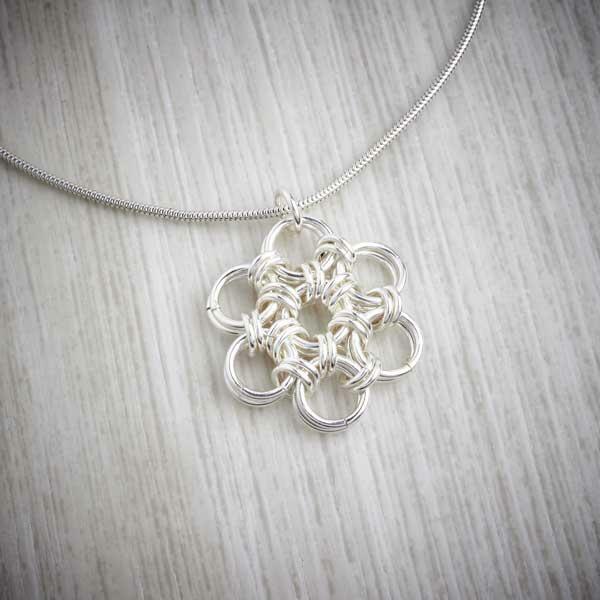 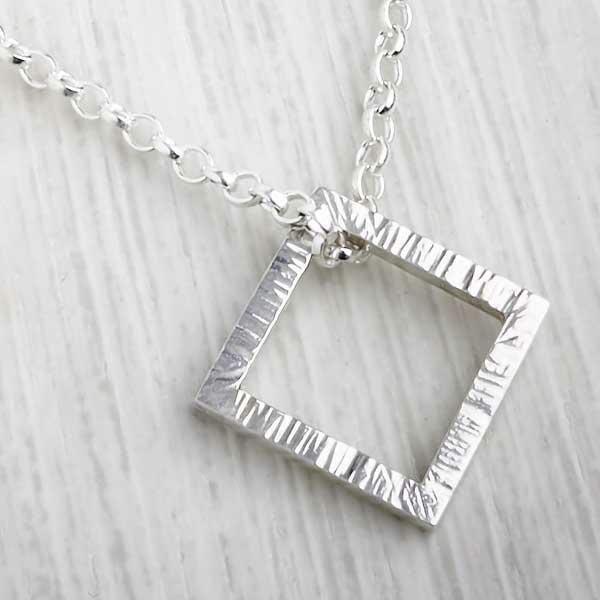 Contrasting black and silver make this necklace a small but striking design. 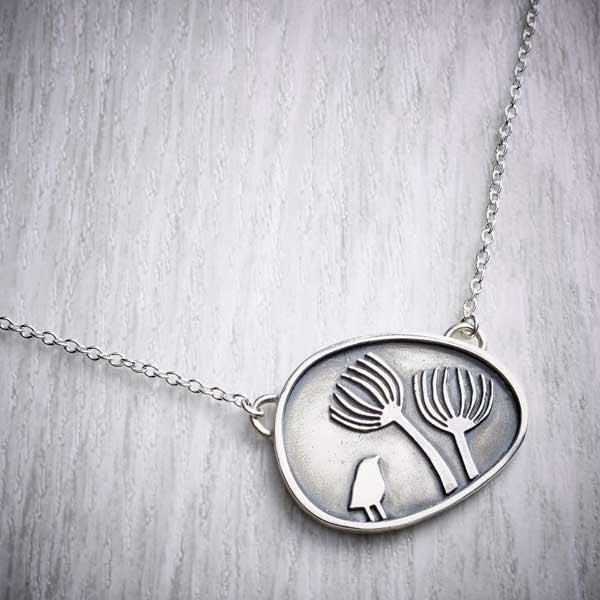 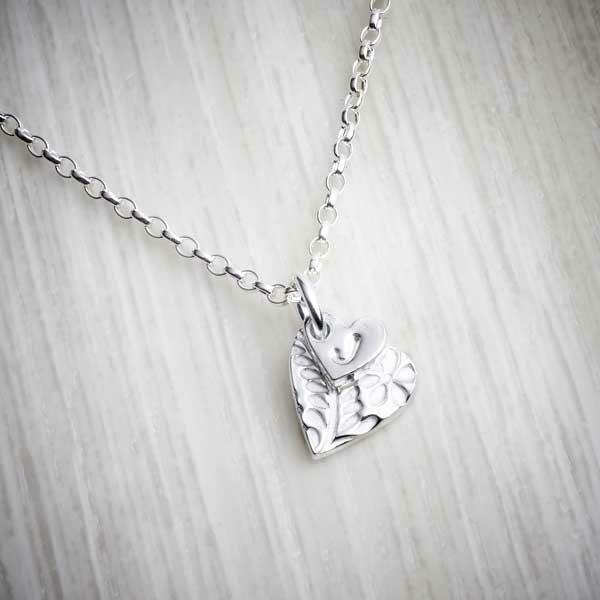 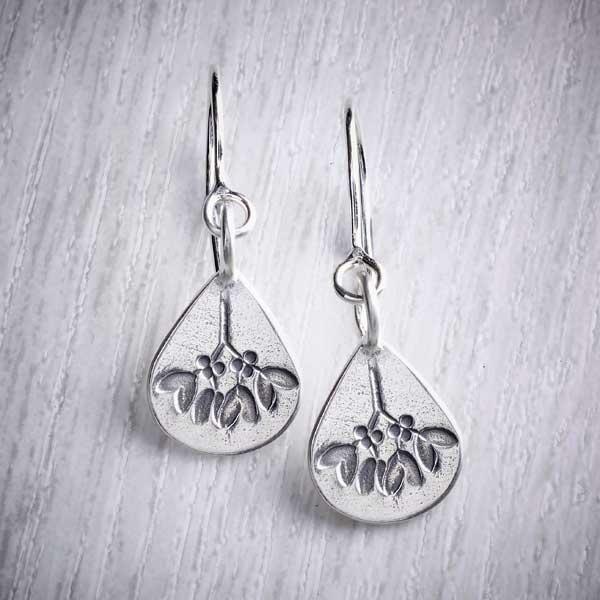 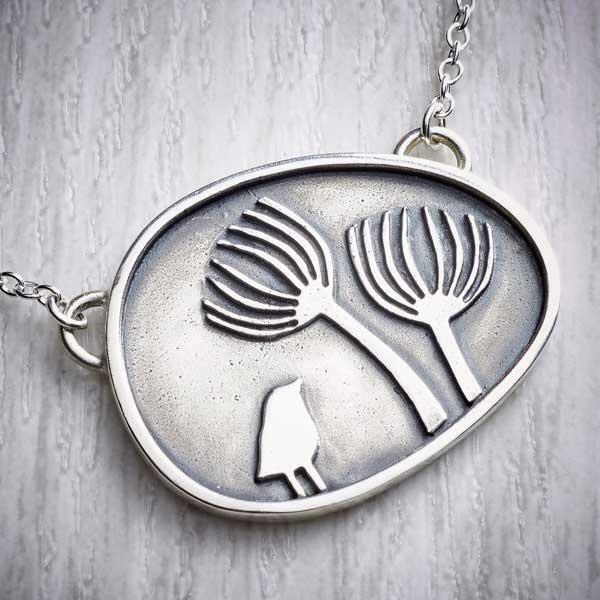 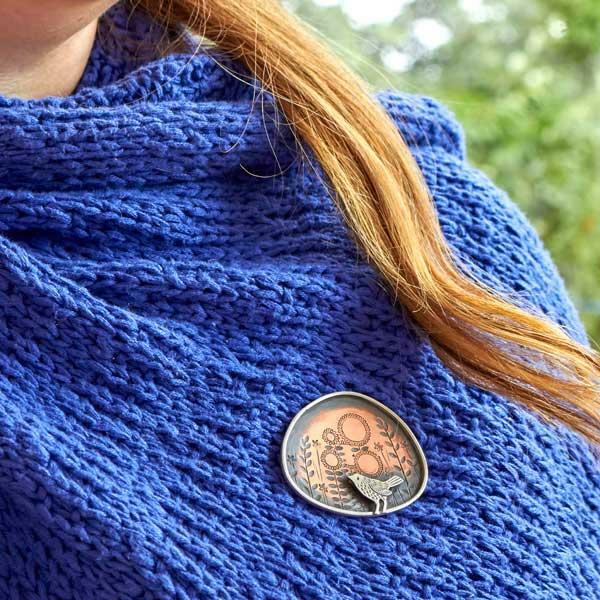 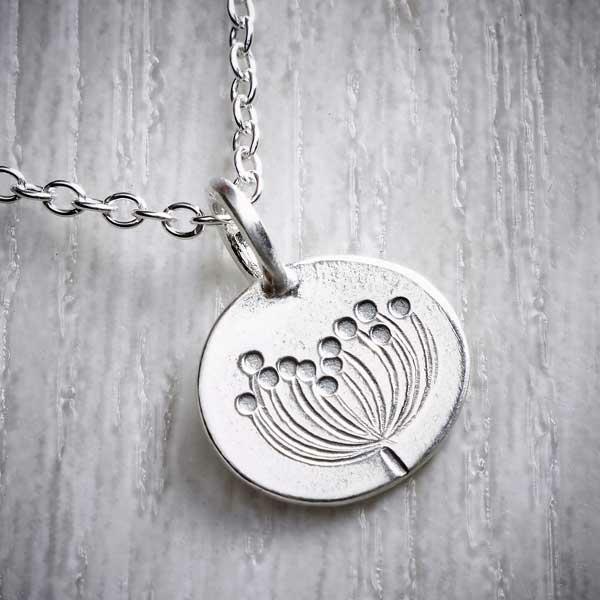 The necklace design was inspired by observing the wide variety of garden birds which are found in a relatively urban area. 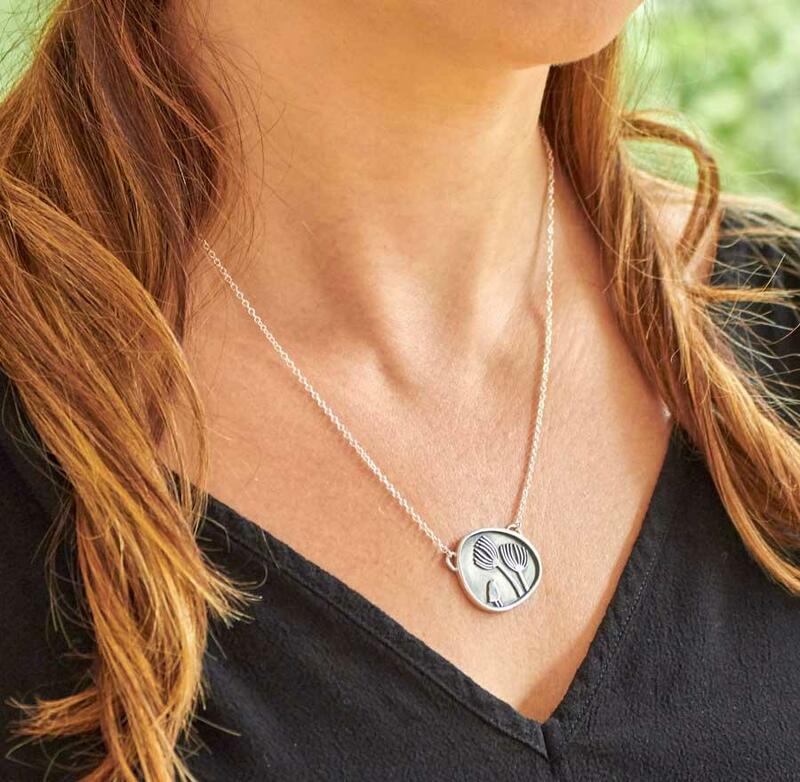 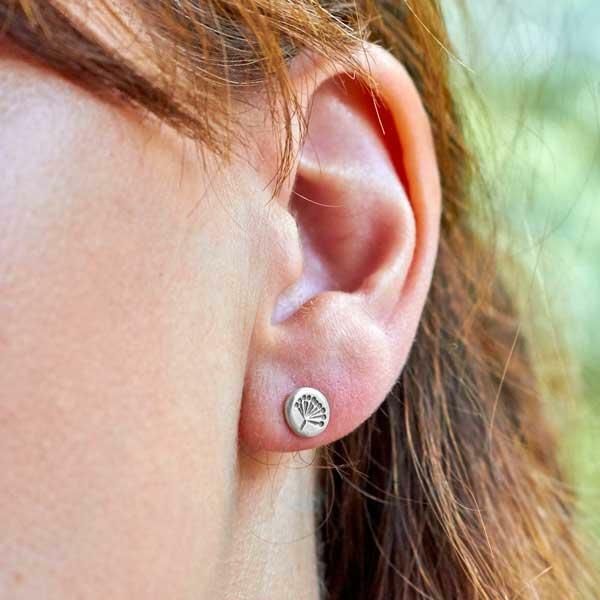 Relishing wildlife and nature wherever you can find it, is the concept behind the necklace. 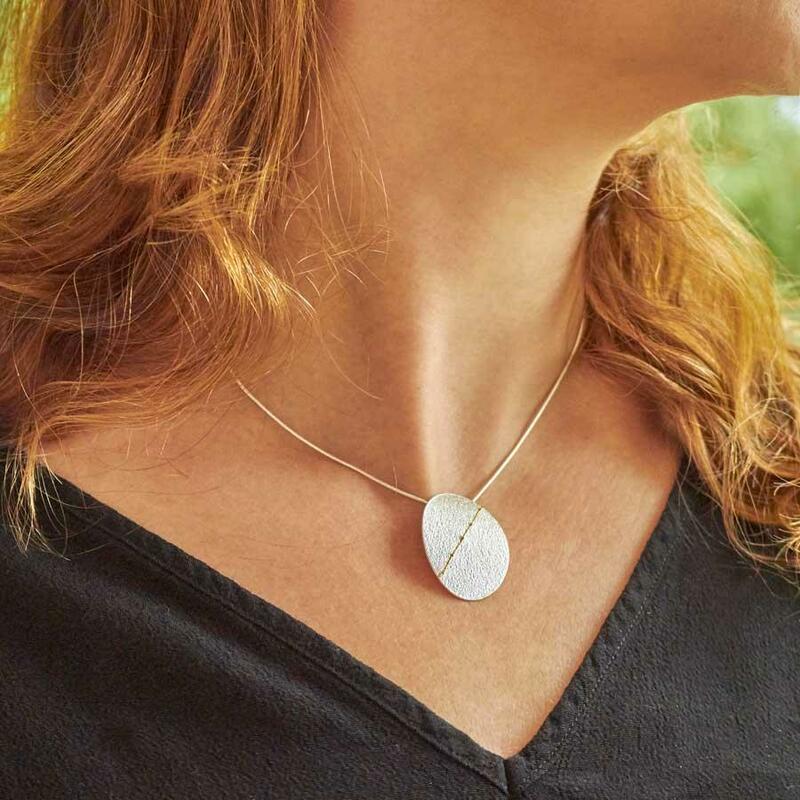 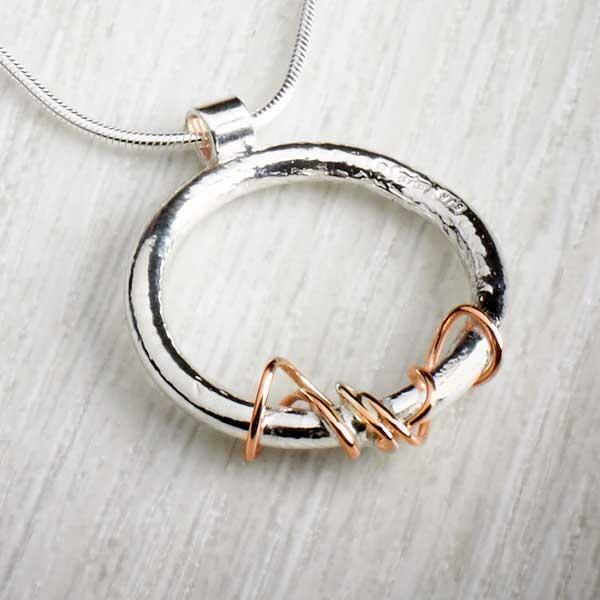 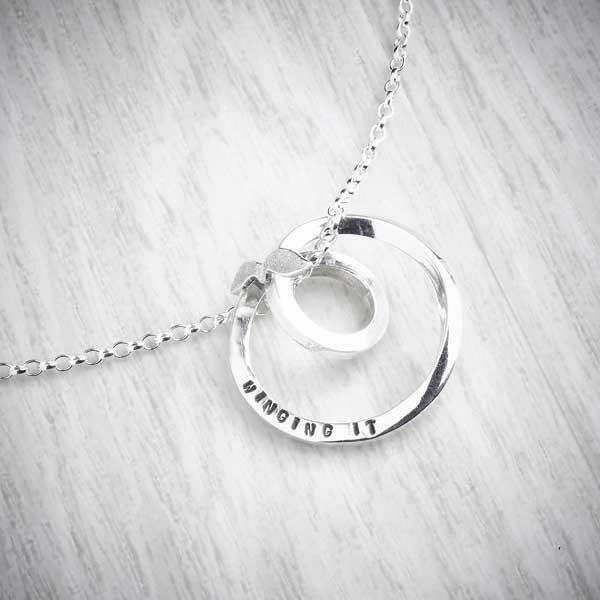 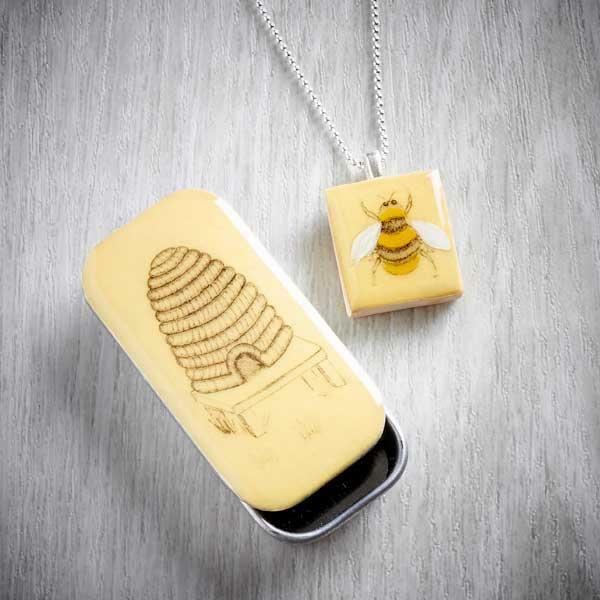 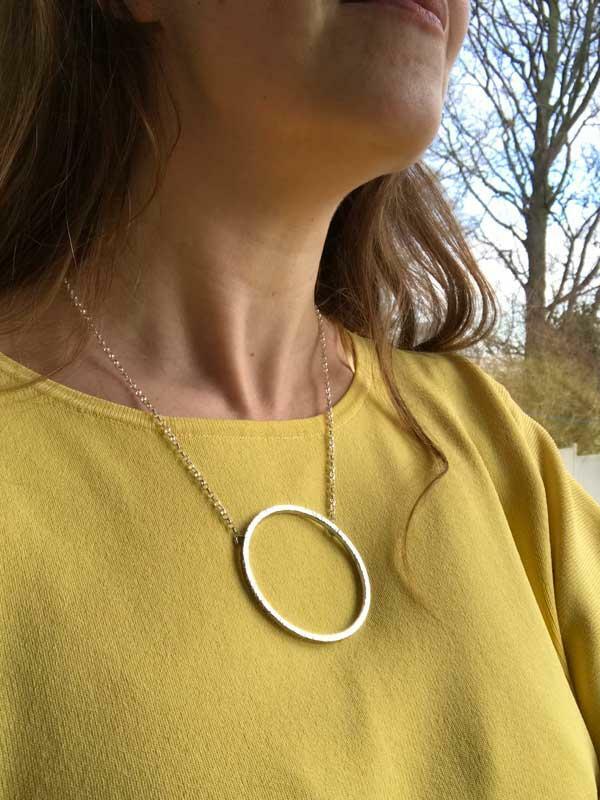 Designed in Nottingham, made in the historic jewellery quarter in Birmingham and then finished by hand in Nottingham, this necklace celebrates British design and manufacture. 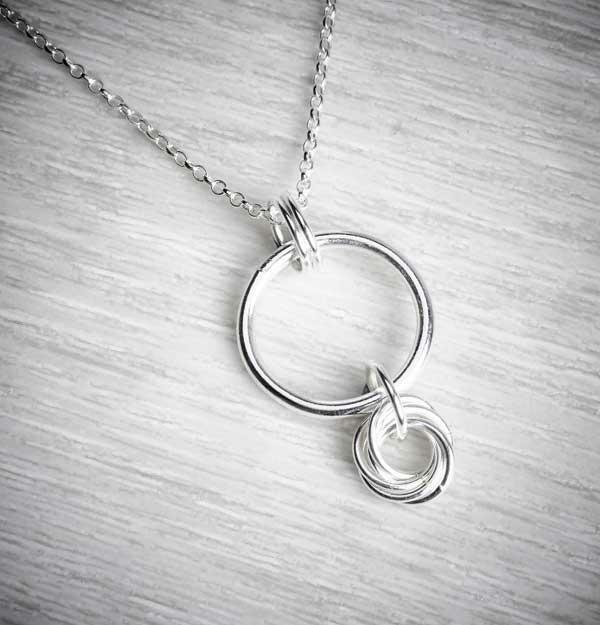 The necklace hangs on an 16, 18 or 20 inch silver trace chain. 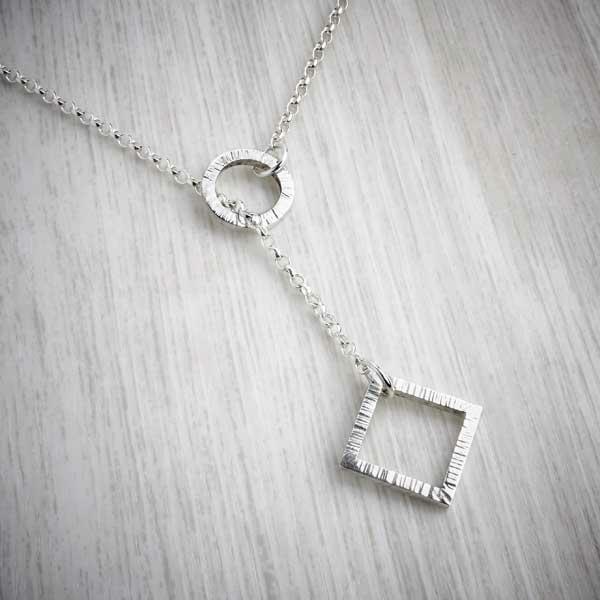 The necklace and chain are made from 100% .925 sterling silver. 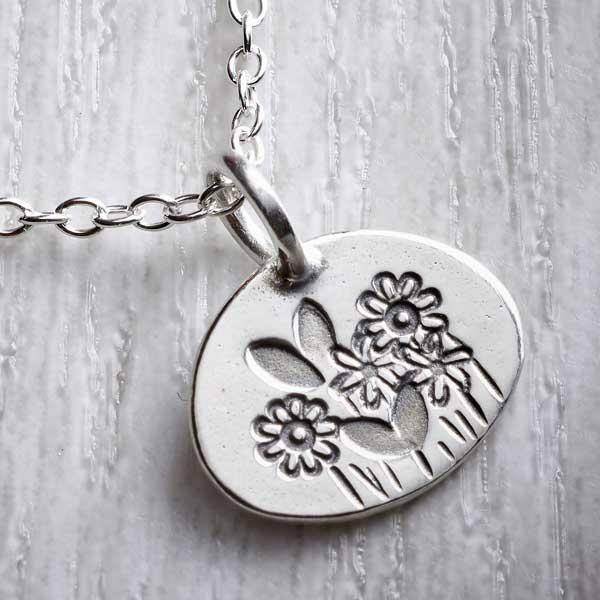 The silver has been oxidised to give a black patina and polished back in some areas to highlight the design. 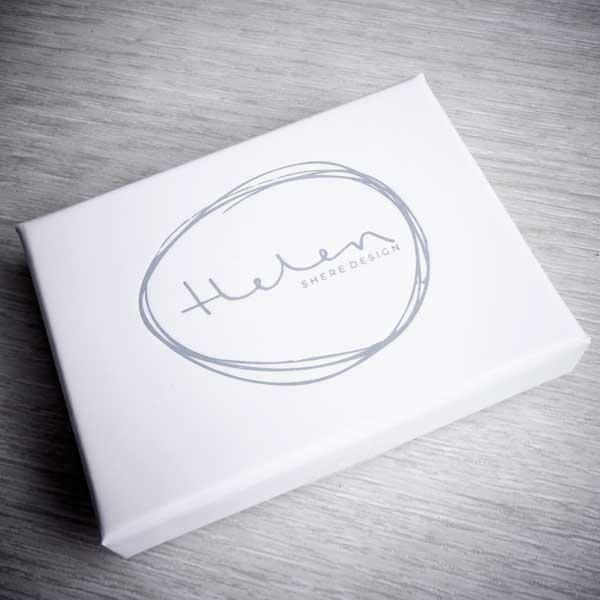 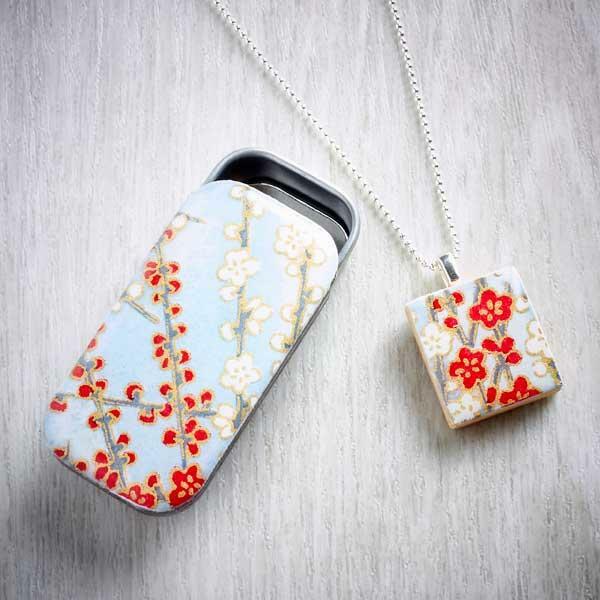 Sent in an elegant Helen Shere Design gift box in the signature white and grey colour scheme, the necklace is ready to make a beautiful gift. 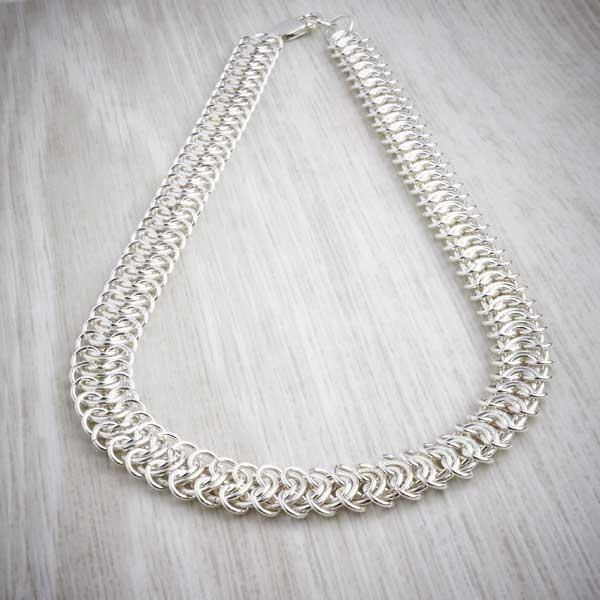 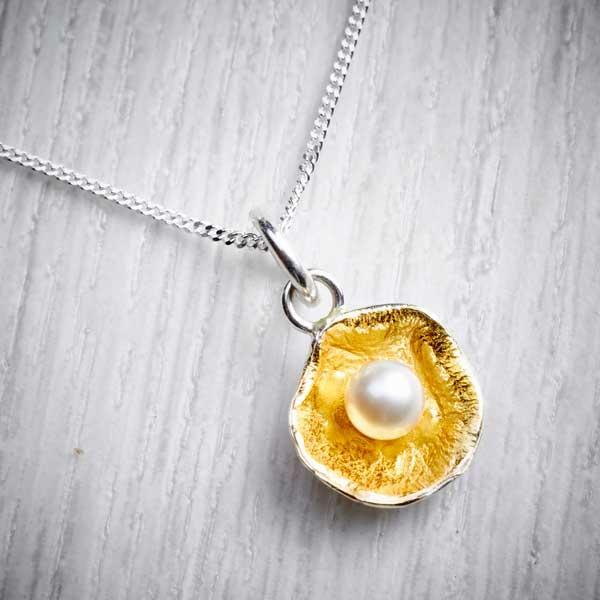 The best way to clean this necklace is by using a jewellery polishing cloth. 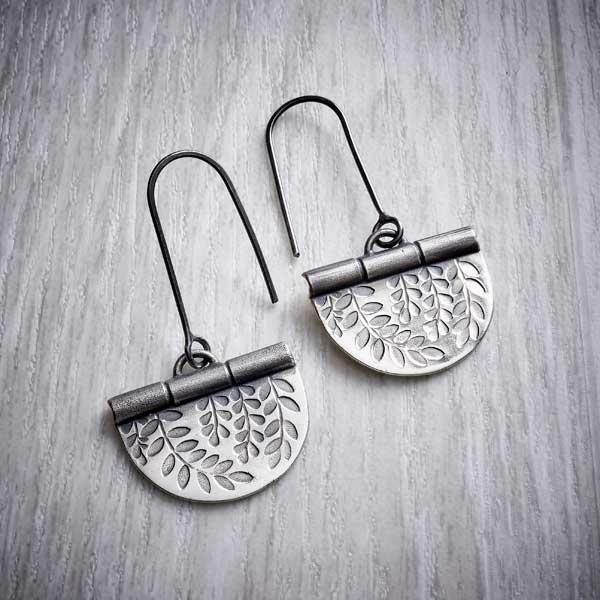 The cloth can be rubbed over the silver to gently remove any tarnishing whilst avoiding the oxidised black areas to maintain the black patina.